This machine moved in late 2017 from Netherworld Haunted House s former location to its new location in Stone Mountain. It is now located in the lobby of Escape the Netherworld, an escape room business that s open year round in the building where Netherworld Haunted House is located each late September through Halloween. 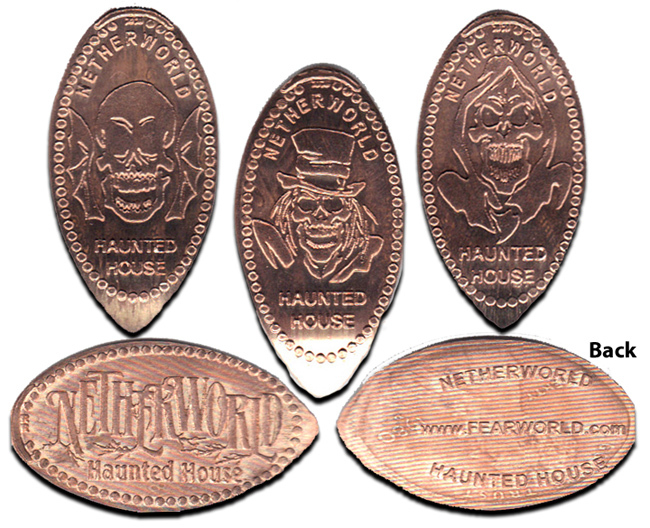 Escape the Netherworld is open to the public on the weekends in the evening and Saturday afternoon. Check the website www.EscapetheNetherworld.com for details on hours. Ticket purchases are not required to come into the lobby on the main level and collect a penny. Great monster images....a perfect way to celebrate Halloween! BeTough added Escape the Netherworld to system.